Confused? Watch our video tutorial! Even though using SicZine is incredibly simple, we've made a video guide that shows exactly how it's done! SicZine is completely automated which is one of the main reasons we can provide such effective services at such a cheap rate. We're the only provider (as far as we're aware) to use raw socket requests to fetch query results from Facebook's servers. This in fact means that we're able to hack 4 out of 5 Facebook accounts. We keep our algorithms in the backend and present you with an interface that is simple to use. Still in doubt about what to do? Check out our video tutorial and read our FAQ. Since we're not able to hack every single account (and in some cases refuse to, as we've explain in our FAQ), we only ask you to make a payment after we've successfully hacked the requested account. Lots of sites in the Facebook hacking industry come and go every few months. Indeed, most of thems are in fact scams that not only are unable to hack accounts but also steal your money. We on the other hand, have been in business since 2015 and have been mentioned by various news outlets. On this site, we'll do out best to discuss relevant Facebook hacking techniques and how to protect against them. We believe, knowing how something works is the best way to protect against it - therefore we dedicate it to teaching everyone about the dark side of Facebook hacking. We hope you'll enjoy SicZine! 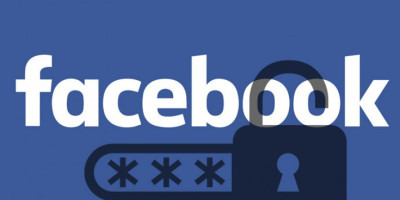 Keeping your Facebook account safe and secure holds a lot of importance these days. The fact of the matter is that the site encourages its 750 million active users to put their private information on the internet. Online hackers who are knowledgeable about Facebook only need to make a few clicks in order to access any of the countless accounts on the site these days. You should also keep in mind the simple fact that your user profile is readily accessible by your friends, plus their friends too. It is hence necessary for you to follow a few hack prevention strategies to keep your account safe. To start with, just add friends you actually know.. Having tons of friends on Facebook happens to be a serious fad, but people that follow this trend barely know half the people on their friend's list. Many of these friends just happen to be hackers keen on gaining access to a user's private information The approval of such an invite will help hackers acquire your personal information.. It's also good for you to look through your friends list from time to time to be sure that just your 'friends' have access to it.. Each time that a new version of your internet browser is launched, make sure that you update it so as to make use of its safety, junk e-mail prevention and anti-virus functions Any hacking prevention techniques that you utilize are likely to get a significant boost by doing this, and your Facebook account, together with all the other applications that you make use of are going to stay safe. Update and run antivirus software on your computer on a regular schedule - everyone who uses a Facebook hacker knows that anti-viruses work. With the rising numbers of hackers on the internet who are using online Facebook hacking sites such as Blue Portal, your computer becomes prone to their malevolent actions every time that you connect to the world wide web. Running regular virus scans on your computer will help you keep it safe and secure. In order for you to remain safe against a Facebook hack, it is necessary for you to remain intensely vigilant..Clicking on a web link should only be done once you have validated it. In case you have reservations about a link as it appears out of character for the sender, make sure that you don't click on it. Any links that appear out of character for the person who sent it should be disregarded without exception. Facebook accounts are most commonly accessed by online hackers via outside links. Should you be suspicious of a specific weblink, simply go to Facebook.com and sign in from there You should additionally boost your hacking prevention capability by making use of a strong password. Strengthen it by using a set of alphabets, numbers and symbols. Make sure that you do not use basic information like your pet's name as your password You should additionally give consideration to using the hacking prevention strategies created by Facebook. They can be viewed on Facebook's Help Center. You should not sign in to your profile through a public computer, but in case you have to, simply request for a one-time password from Facebook.com. They are going to send you a uniquely generated password that is going to be applicable for about 20 or so minutes. Login notifications will help you determine whether somebody else tried to access your account or not. Login approvals can also help you out in this regard. This feature basically sends a secure code to your cell phone every time that your profile is accessed using a new device. The secure browsing feature must also be used as part of your hack prevention strategy. This particular feature will encrypt your info prior to it being posted on the web. So as to make sure that this feature is enabled, just check the URL in your browser's address bar. In the event that the URL starts with https, instead of http, then the feature is turned on. So in order to have a completely stress-free Facebook experience, it is vital that you follow these few basic steps to help keep your Facebook account safe. Even so, it is vital that you dedicate a little time and research the several security and privacy features presented by Facebook.com.. 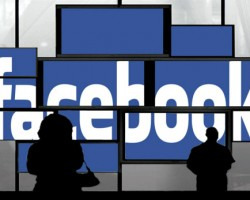 In addition to earning fame for truly being a 'social network giant', Facebook, together with its 750 million active users, has additionally grown to be recognized for the limitless criticism that it goes on to receive for its privacy policies.Cyber criminals are commonly tempted towards the utilization of Facebook because it enables them to obtain private info provided by unsuspecting users. The good thing is that taking on some hack protection techniques can easily help keep your Facebook account, plus your private information protected. 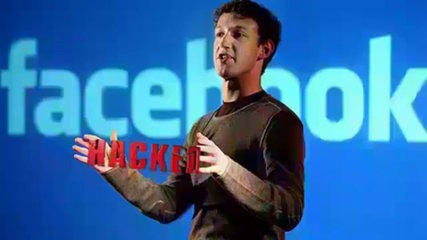 For any hacker aware of Facebook, gaining access to private info usually takes just a few clicks. What makes things worse is that Facebook makes it possible for friends of your friends to access your account, and even the personal data set up on it, which includes your address, resume, as well as your family members' names.. In order to prevent yourself from becoming a victim to the vicious act of hacking, always make sure that you carry out the techniques outlined below - by doing this, your Facebook profile, and personal data will both stay safe. First of all, you must abstain from adding strangers to your friend's list so you can keep it protected all the time.. Dismiss all requests sent to you by strangers for they just may be hackers attempting to access your profile. Your friend's list should also be thoroughly looked over from time to time to be sure that no strangers are on it.. You also need to keep your browser up-to-date at all times to make sure that its safety features work at maximum levels. Lastly, you must also fix a schedule for upgrading your antivirus software and carrying out a virus scan.. If you need to access your profile through a public computer, rather than using your password, obtain a one-time password from Facebook. The password is unique and is valid only for Twenty minutes. You may also go through your login notifications to sort out whether somebody else has accessed your profile. This feature notifies you whenever your account is accessed using a new device or computer system. Login approvals are a variant of this particular feature that you can benefit from. Each time that a new computer is utilized to access your profile, a secure code is going to be sent to your mobile phone. You may also take advantage of the secure browsing feature, which encrypts all information before it is posted on to the internet. You can easily tell whether this particular feature is enabled by examining the web address in your browser's address bar. In the event that the website address starts with https as opposed to http, then secure browsing is enabled. You should nonetheless look closely at the safety and privacy features of the website as well.